Tickets to the Maze during regular hours are $9.00 per person for ages 5 & up; ages 4 & under - free! You can either purchase tickets online or at the Applestem Corn Maze ticket booth. 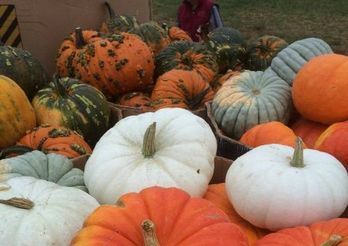 Pumpkins range from $1.00 & up depending on the size and variety. Tickets to the Night Maze is $9 per person for ages 5 and up; ages 4 and under - free! Safety is our number one concern here at the Applestem Corn Maze & Pumpkin Patch. We will adjust our hours accordingly for adverse weather. Please contact us when there is inclement weather to find out how it might effect your visit. 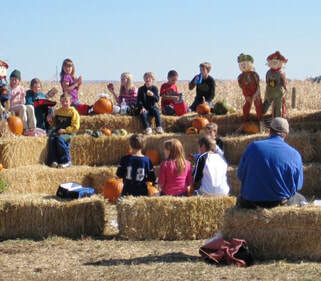 Farm admission for students, parents, and chaperones is $5.00 per person and Pre-K is $2.00 per person during the week. Teachers are admitted at no charge. On weekends, admission is regular price. 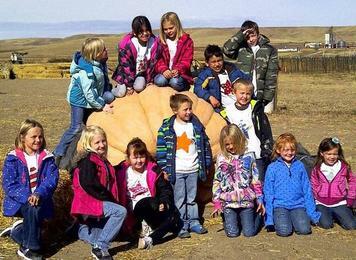 ​Groups and Parties are welcomed Sept. 19 through Oct. 26th; Wednesday - Friday from 1:00PM-7:00PM. 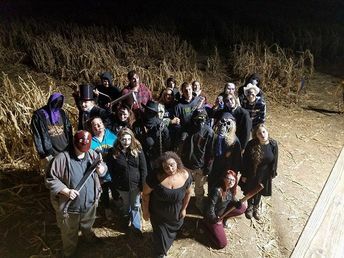 While larger groups can be accommodated without reservations during normal hours of the Maze, you will need reservations to come as a group on the days the maze is not open to the general public. 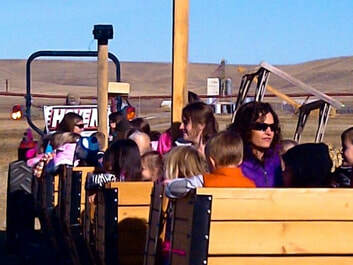 Groups of up to 9: $9.00 per person. Groups of 10 -19: $8.00 per person. Groups of 20 and up: $7.00 per person. Church groups are welcome on Wednesday evenings (reservations required) from 5:00PM - 9:00PM & on Sunday's 1:00PM - 6:00PM. (reservations are recommended). ​Attractions are available during normal maze hours. There are areas at the Maze that are lit at night, but the paths throughout the maze are not. You are welcome to bring your own flashlight, but if you don’t, we do sell glow sticks. ​We do have concessions featuring light snacks and drinks. ​We do not have drinking fountains at our maze. Water is available at the concession stand. ​Are welcome if they are kept on a leash and cleaned up after. ​As this is a working farm, there are rough pathways and attraction areas. 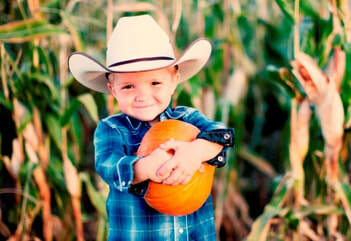 Visitors are encouraged to dress sensibly and wear shoes for an outdoor/working farm experience. ​We have port-a-potty restrooms including wheel chair accessible on the premises and hand washing stations available. Bringing hand sanitizer along it a good idea too. ​We will be closed if it is raining, snowing or if we have real cold weather. Call 406-965-3581 before coming on bad weather days to see if we are open. ​Is accepted by business check, credit/debit card, or cash.